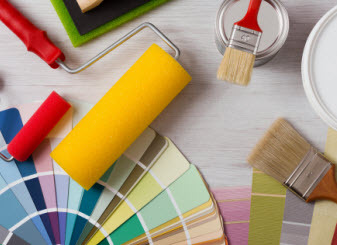 Since 2004 New York Painting Services has been providing painting contracting services to the commercial and residential customers of New York and New Jersey and during that time we have earned a reputable name. By applying friendly customer service, high morals, traditional values, and exceptional work ethics to our superior craftsmanship on a consistent basis, we have accumulated return clients and customer referrals contributing to our success, for we know our customers are our greatest asset. We are completely licensed and insured to provide our professional expertise and services to the community at affordable prices. 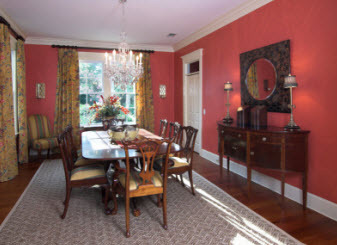 New York Painting Services technicians have the attributes and credentials you are looking for; advanced training, experience in the industry, and remarkable skills for example. In addition to having the best crew, we utilize premium quality products, materials, and equipment to ensure maximum results. In an effort to extend our customer service to the commercial business owners and residential homeowners of New York and New Jersey, we have compiled a glossary of terms often referenced to deck services to help our customers become more familiar with the service. Beam: Beams, supporting the joists, are the boards that sit on top of the posts. Cap Rail: Cap rail pickets running around the deck and are the horizontal board that runs along the top of all posts. Decking: The decking is comprised of boards that are secured to the joists to create an outdoor surface extension of your home. Fascia: Fascia, used for decorative purposes, is the boards that cover the ends of the deck boards and the perimeter joists. Finishing: Finishing is a coating of paint, varnish, lacquer, veneer, coat, stain, wax, shellac, enamel, or glaze for example, to complete the manufacturing or decoration of a material or object to enhance the surface’s appearance and/or provide additional protection. Footing: Footing provides the main support for the deck, which is any concrete base embedded in the ground. Guardrail: A guardrail is a lower, horizontal board that runs over the railing posts. Joists: Joists the supporting boards for the decking boards. Joist Hangers: Joist hangers attach the joists to ledger board that are metal fasteners. Ledger Board: The ledger board attaches directly to the existing structure or to the lateral joists. Piers: Piers, usually 6 inches high, are the concrete blocks found above the footing. Porch: A covered projecting entrance to a house or building that is opened or closed. Posts: Posts, most often built from 4×4 pieces of lumber, are the vertical supports that rest on piers and support the beam. Post Anchors: Post anchor brackets that connect the piers to the posts that are comprised of metal. Pressure Washing: Pressure washing is the application of pressurized water spray to remove loose paint, mold, grime, dust, mud, chewing gum, and dirt from surfaces and objects such as buildings, vehicles and concrete surfaces; often used during refinishing deck surfaces. Railing Post: Railing posts, which are the vertical posts, hold the rail. Rim Joist: Rim joists, also referred to as perimeter joists, are the joist which runs up against the joist ends. They are generally found away from the house, on the far side of the deck. Rise: A referenced measurement used for the height of a step. Riser Board: The vertical board attached to the front of a step, between treads. Run: A referenced measurement used for the length of a step. 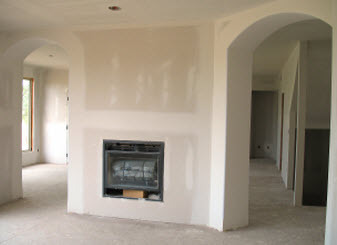 Sanding: Sanding is the process to smooth or polish a surface with sandpaper or a mechanical sander. Stringer: The end pieces that hold the stairs and steps together that are attached to the treads. Top Rail: Running between the railing posts, the top rail is the upper, horizontal board. Tread: Making each step in a stairway, the tread is the horizontal board. If you are looking for deck cleaning, staining, refinishing and maintenance services for your home in the Greater New York/Jersey area, contact New York Painting Services and let our experts get started!